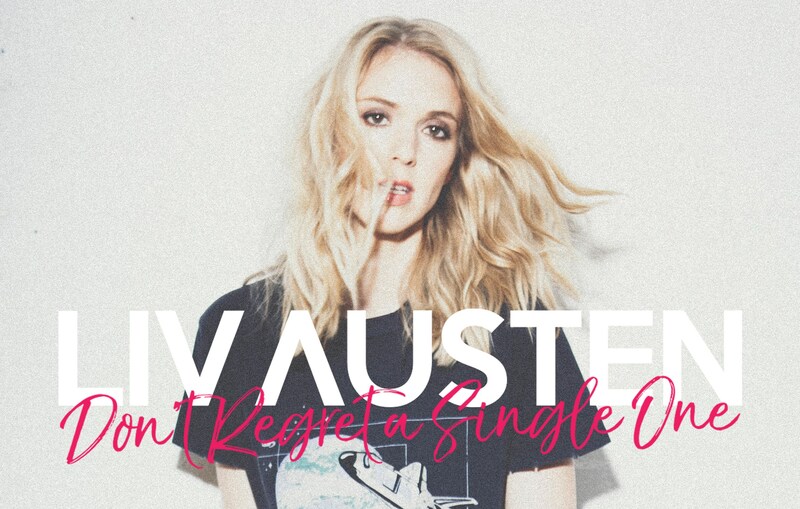 Norweigen born but UK based Liv Austen wowed us with her latest single Don’t Regret A Single One and we loved its country/rock-pop edge. Performing it at this years C2C Festival and impressing fans new and old, we had to know the story behind the song and Liv kindly shared it below. Don’t Regret a Single One is my defiant, cathartic, feminist anthem about love gone wrong. I wrote it after an unsuccessful attempt at a relationship, feeling like I wanted to celebrate the mistakes I’d made in love rather than wallow in self pity. And it really embodies what country music is for me; celebrating every aspect of life, not just the cool stuff or the good stuff – but the failures as well. Shooting the music video was really good fun. We knew from the start that we wanted to do a performance video for this, as that rocky band sound is so important for this song. My dream was to get a bunch of people in so we could have an audience to perform to as well. We were lucky enough to get to shoot at one of my favourite London venues, the recently refurbished Borderline – which looks stunning on camera. An overwhelming number of fans and friends came down on the day and featured as my audience in the video, and helped keep me and the band really energetic for the whole day. It was a tough day at times for me as I was really ill – thank god I didn’t have to sing for real! But my manager kept me alive with a cocktail of painkillers, and the adrenalin kept me going too. I was just so grateful for everyone’s amazing efforts. The director, Serkan Nihat (Guy With The Cap) was incredible and had a brilliant eye for making the shoot look fun and glamorous. The edit is really fast paced an fun too! The director of photography, Brendan McGinty, made us look really cool. Some of the close up silhouette shots of the band are absolutely amazing. I am wearing some really cool outfits in the video too (that have had a lot of attention from people!) and that made me feel really great. The outfits are from Jaded London, an amazing clothing brand. I got to go the Jaded offices and pick out whatever I wanted, and it was so exciting. It’s the type of clothes that make you feel like you can take on the world, and when singing a song like Don’t Regret a Single One, you can’t wear clothes that make you want to hide away. You just have to own it. I am really proud of the video, and it’s fun watching it back. I am so grateful to everyone who was part of making it happen. I hope people can play the video at home and dance around to it, that would be my ultimate dream!